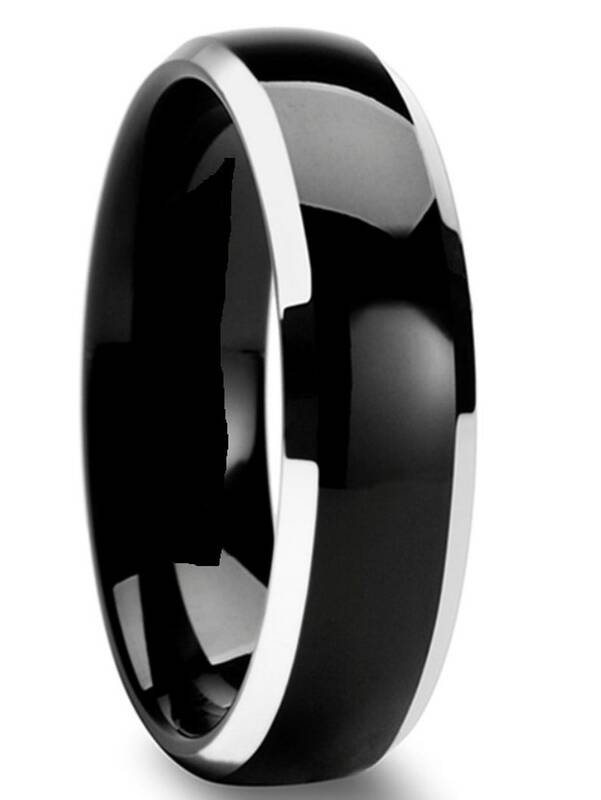 Hello Rob, based on our conversation you would like two bands custom designed out of Titanium just like the ring shown above but rather than silver sides you indicated a preference for gold or other precious material. I can make that band with the plating of your choice out of a number of different precious metals but I have you down for gold sides. - Engraved "Yours - Robbie"
- Engraved "Yours - Kay"
As requested I've changed the pricing to reflect that this would be a 50% deposit on the ring and the balance would be due prior to shipping when completed which is estimated at 6-8 weeks. FREE: All my custom rings come with free engraving. If you would like free engraving on the inside of your band, just fill in the field below of up to 25 total characters, symbols, numbers, roman numerals, or other. If I'm missing anything, please advise. As soon as this is paid I'll get started and have both rings completed and shipped in under one weeks time.